The sister of the Highland student who died after a climbing accident on a Lochaber Munro at the weekend has launched a fundraising appeal for the local mountain rescue team in his memory. 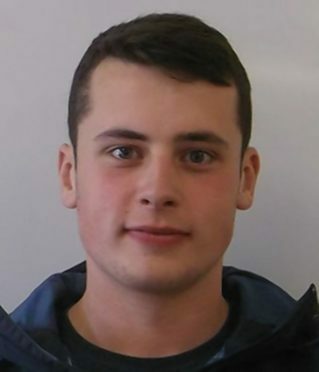 Kieran Shaw, who was studying at West Highland College UHI’s School of Adventure Studies in Fort William, had been climbing with a friend when he fell about 150ft near the Easy Gully on Aonach Mor on Sunday. Lochaber Mountain Rescue Team (MRT) and Coastguard helicopter Rescue 951 were called to the 4,006ft mountain, near Ben Nevis, and the 21-year-old was flown to the Belford Hospital. Mr Shaw, from Helensburgh, Argyll, received medical treatment at the Fort William hospital, but died as a result of his injuries. And his sister Hannah is now keen to raise as much money as possible for Lochaber MRT. She has set up a JustGiving page called Kieran’s page and, by last night, more than 80 people had donated more than £2,100. She described her brother as “the bravest, kindest most courageous person” and said he had died doing what he loved. Mr Shaw’s college friend and flatmate shared the fundraising page on a social networking site informing people of his friend’s death and encouraging them to make a donation. He wrote: “As I type this right now, it still doesn’t really feel particularly real. “I’ve been able to count on him through some difficult times and good ones, just to be a super positive sort of guy that’s always keen to get out, do things and make the best out of each day and at different times be a voice of great sense and reasoning. “In his memory, there’s been a JustGiving page setup for Lochaber Mountain Rescue. “This highly trained team is dependent on donations and helps people who find themselves in troubling situations in the hills and mountains of the local area of Lochaber. “Having been given an insight into a little of the work they do over the last three and a bit years I’ve lived in Fort William and in light of recent events, I’d like to thank and help them in the difficult job they do. Lochaber MRT leader John Stevenson said: “We really appreciate people raising money for us in circumstances like this and we survive on them doing so.